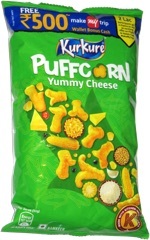 Taste test: This bag contained a lot of crisp, large chips loaded with a strong pepper taste. The black specks of pepper were readily visible all over the chips. There was definitely more pepper than salt, at least as far as the taste. One of the chips that I ate was really quite huge. 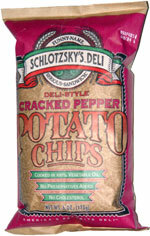 Our tasters raved about these chips and just couldn't stop eating them. Smell test: Very strong pepper zing.